Thank you for considering donating to CCBC’s scholarship fund to help student’s study the Word and get trained up for ministry. The traditional way to donate to this fund is with a credit or debit card on our donations page (some eligible employers will also give a matching gift). 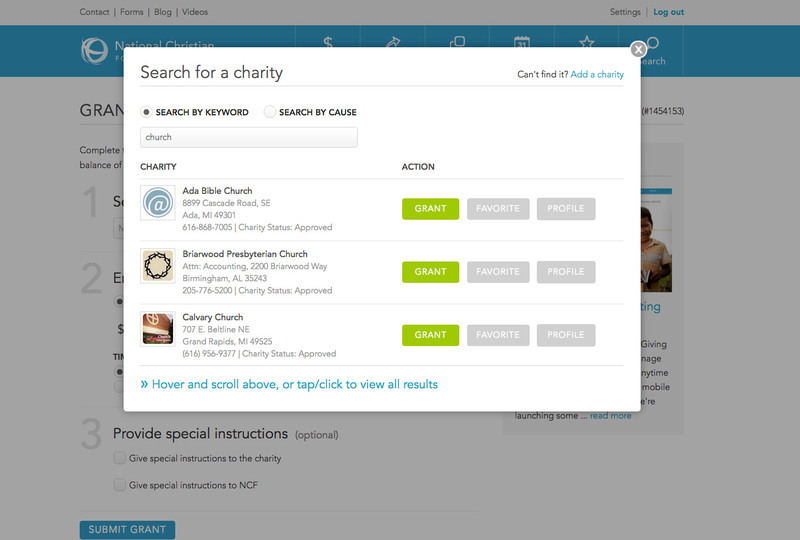 Recently we also began working with a Christian finance ministry to allow for other unique ways to give. CCBC has partnered with the National Christian Foundation (NCF) to create the ‘Calvary Chapel Bible College’ Fund (#2134847), a tax-free way for you to give tangible assets to the college. There is no need to incur a hefty tax-bill by selling the asset prior to giving. These assets include real estate, stocks, homes, precious metals, mutual funds, collections, automobiles, art, and much more. Feel free to contact Robin Lewis at CCBC to discuss this versatile giving option that has fantastic and unique tax-benefits. In addition, NCF provides the attorneys that will take care of transferring the assets to the CCBC fund at no cost to you. CCBC will receive a check in the mail for your tax-deductible contribution. We will use this resource to scholarship students in need to attend CCBC. The NFC finance team can walk you through the process. 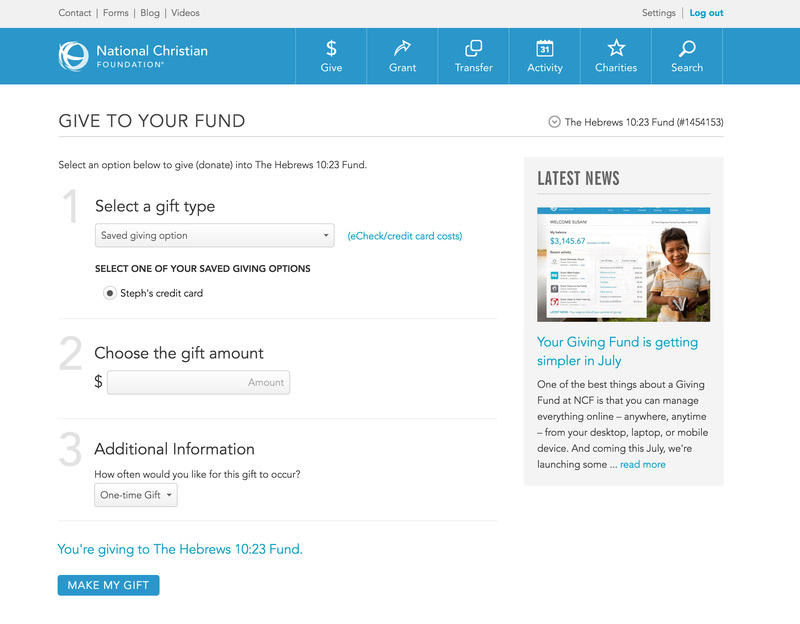 You can call Bryan Feller at NFC at (949)263-0820 or by emailing bfeller@ncfgiving.com. Watch the video below to learn more about how to simplify your giving with NFC by opening a giving fund to use to grant money to CCBC. If you have time consider watching former IBM executive Lee Torrence share about how Jesus and education changed his families life in this NFC video testimonial. Thank you for considering donating to the ‘Calvary Chapel Bible College’ Fund (#2134847) at the National Christian Foundation. We appreciate your heart to join us in training up students in the ways of the Lord! But who am I, and who are my people, That we should be able to offer so willingly as this? For all things come from You, And of Your own we have given You.